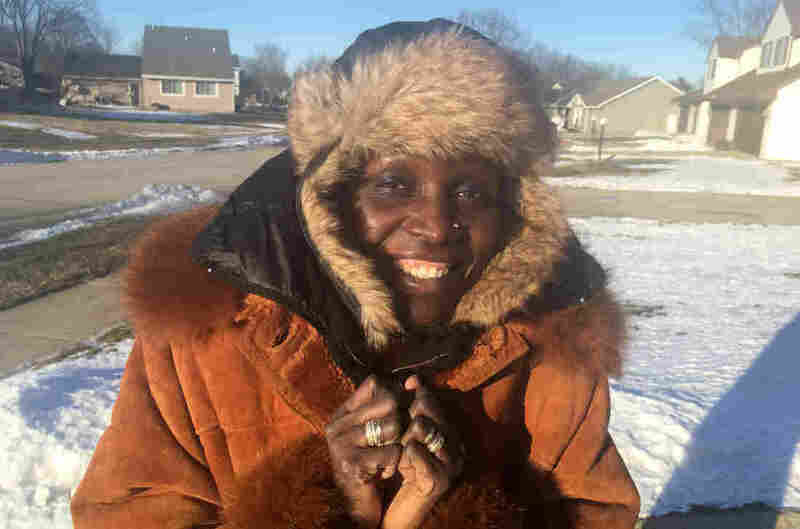 Chicago's Record Cold Scares A Kenyan Resident. But She Dares To Go Out To See What It Feels Like : Goats and Soda Esther Ngumbi's dad back home had no idea what advice to give her about surviving the historic low temperatures. And he definitely wanted to know what that kind of cold feels like. 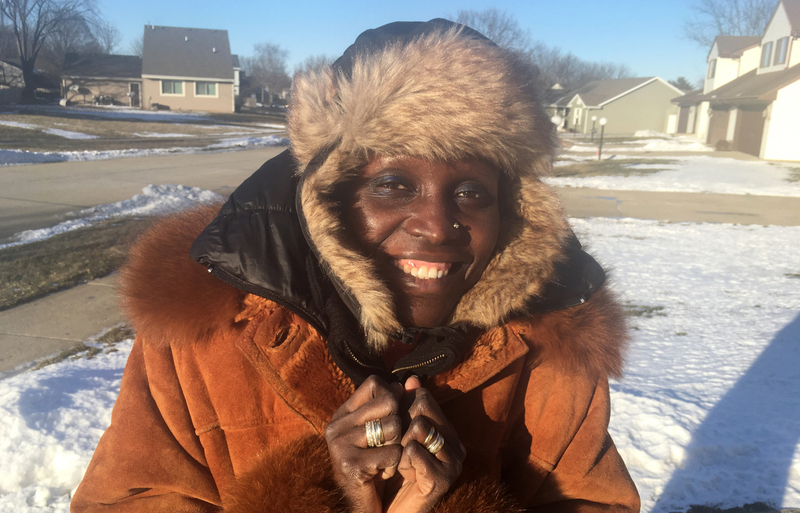 Esther Ngumbi, who now lives in Chicago, gets a taste of the big chill. She grew up in Kenya, where 60 degrees was about as cold as it got. Having grown up in Kenya, where the 60s is as low as it usually goes, I was worried about how I'd cope. So were my family and friends back home. They could not fathom how I would make it through the cold — or if I would even make it at all. And they were extremely curious about what that extreme cold would feel like. My dad, as all fathers like to do, wanted to give me advice. But he was at a loss. I chuckled as he said, "I can only tell you how to behave when you get extreme heat — to go under tree shade. But I am afraid what you are about to experience tomorrow is something I do not know or cannot wrap my mind around. I am sorry my daughter, I cannot be of help." I said, "Daddy, worry not, I will bundle up. I will be okay." Nevertheless, they had valid reasons for alarm. Mayor Rahm Emanuel warned Chicagoans to "please avoid the outdoors." To my surprise, even though it was very cold, with wind that cut right through you, it was bearable. I didn't curl up into a little ball. I stood tall (well, maybe a little hunched over to keep warm) and breathed in the frigid air. I gave myself five more minutes in the cold to ensure that I could still survive. After five minutes, the wind was beginning to get to my bones. Ouch — it felt cold. Brr ... yikes ... chills. So now I've been through extreme cold and the extreme heat of Kenya's hottest months, January and February, when temperatures reach the mid-90s. There was no air-conditioning in my village. I'd move from the shade of one tree to another, just trying to cool off. The heat was torturous. If you ask me, what I prefer — extreme heat or extreme cold — I would say, I have yet to make the decision. Let me see how cold it is tomorrow and then I'll get back to you. If you grew up in an extremely hot climate and are now living in place where it gets quite cold, we'd love to hear from you. What was it like when you experienced your first taste of extreme cold? What did it feel like? How did you cope? Reply to this Twitter thread with your response and we may feature it on NPR's website.